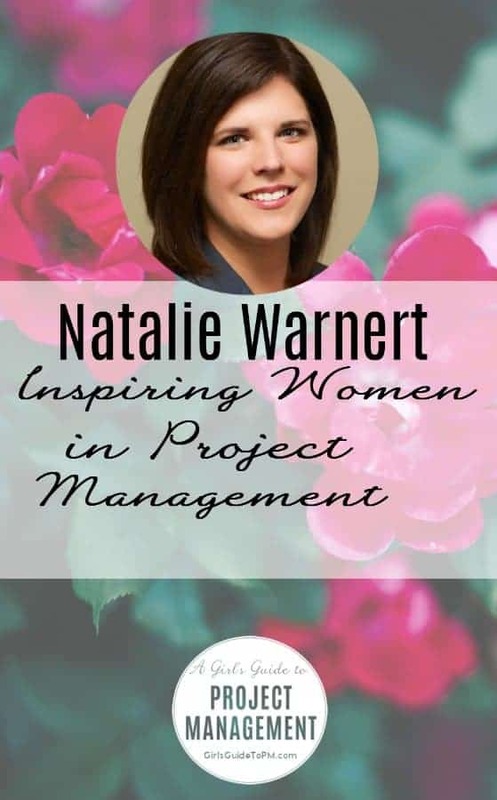 The Inspiring Women in Project Management series is an occasional column that sees me interviewing women who are inspiring and who do inspire others in the world of project management. 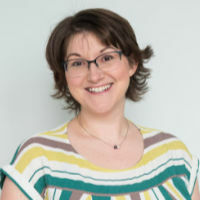 Today is the turn of Natalie Warnert, who set out to promote and support women in Agile. I asked her all about it. Natalie, what does Women in Agile do? WomenInAgile has created a place and community for women to network, share experiences, and spread diversity through the Agile community. Its mission is to encourage women to become more involved sharing their ideas in the Agile community by exposing them to others who have done so. We have informal meetups locally as well as at large Agile conferences. Our first sponsored event was at Agile2016 in Atlanta last summer, and it was attended by about 100 people. That’s a pretty good turnout! Why did you set it up? While I set up the event at Agile2016, I did not set up the entire movement. It’s been in the works for the past few years through many different channels: a twitter hashtag (#womenInAgile), blog posts, as well as informal networking at the open space part of Agile conferences. It was started to encourage more women’s involvement in the Agile community and to give them a place to start with a low barrier to entry, like the blogs that are already set up or the hashtag anyone can use. OK. How successful do you think it’s been? I think it’s been wildly successful. The change in the percentage of women at Agile conferences is very apparent. The speaker lists are more diverse than they were five years ago. More women know each other and have a place to go ask for advice, mentorship, and sponsorship. It’s given women more of a voice as well as provided more ideas to infiltrate the Agile community – that’s a win for everyone! Definitely! You hosted a #WomenInAgile session just before Agile 2016. What were some of the highlights to come out of that? The session was a great place for people to just connect. People were already in Atlanta and we brought in a great keynote to start the conversation and increase motivation. We also talked about my thesis research results which helped to identify reasons women are less involved and then left the discussion open to the small groups to dissect the reasons and relate their own experiences. The connections they made among each other helped to form a Slack channel and keep conversation going throughout the week-long conference and beyond. I heard so many women and men discussing “why” and making future plans for events, presentations, blogs and the like. It was very inspiring. You work as a Scrum Master. What does that job involve? A ScrumMaster is a servant leader to the development team. They ensure the team has what they need to get fulfill the goals they collectively make. They also ensure the team understands the principles and ceremonies of Scrum – they’re really the expert that enables and facilitates the Scrum process. Of course, they do so much more than that, but that is my nutshell description. How did you get into that role? I got into Agile and Scrum through my development background. While I enjoyed development, I really like the process side of things and continuous improvement. I liked helping people to succeed and Agile is very much about relationships and interactions. I also love to continuously learn and try new things and inspecting and adapting processes is always something I have been drawn to. Agile practices allowed me to mesh these two interests into a career. Sounds great! What tips do you have for women wanting to do a similar role? Explore it! There are so many resources at your fingertips from blogs to online and in-person trainings to books! You do not have to be an expert – far from it – you just have to be willing to learn and fail and help others do the same. You don’t have to be an expert: you just have to be willing to learn and fail. Women are really great at this type of job because we are good at the relational side of things while also understanding technology. I know it’s a stereotype, but I’ve seen it work in women’s favour in this industry, and that is nothing to sneeze at. Is there anything you wish you had known about the job before you started? I wish I had known how much self-awareness it takes. It’s hard to examine failure and examine yourself but it’s vital! By being able to have that vulnerability with yourself you can pass it along to your team and help them to improve too. Invite women (and men)! A personal invitation is a powerful tool that we often forget about. In my experience a personal invitation is the best way to get someone to join in spreading the word. Everyone is empowered to keep this movement and other movements going. By increasing all types of diversity we will continue to get new and innovative ideas or inspect old ideas to use them in new ways and that is a benefit to the entire Agile and technology communities! I believe it’s been fiercely effective. The adjustment in the rate of ladies at Agile gatherings is exceptionally evident. I’m glad you have noticed a change!